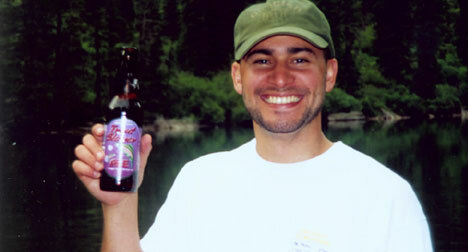 In the summer of 2002 I had an opportunity to go and vist one of my great friends out in Libby, MT. He was studying to be an M.D. and was doing a rotation at a local clinic before heading back to the University of Washington. 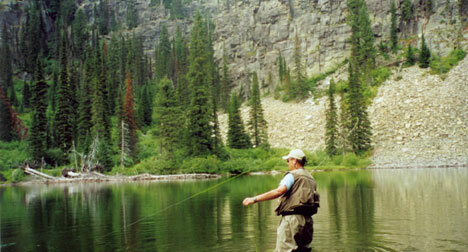 It was a tremendous trip, we caught up, did some camping, and even caught a few trout. Click on any of the pictures below for a larger view. 1. 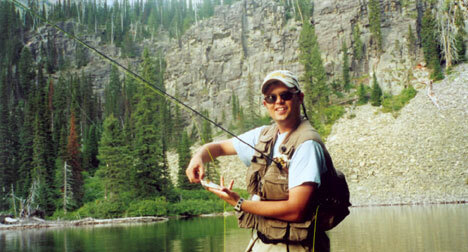 Here Eduardo and I fish for Cut Throat Trout in Glacier National Park. 2. 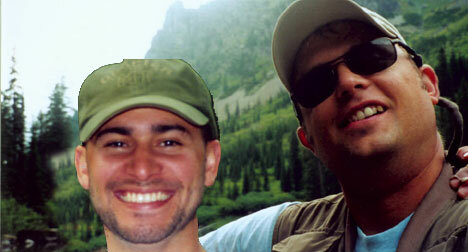 This is self portrait of Eduardo and I after a outrageously successful day of angling. 3. 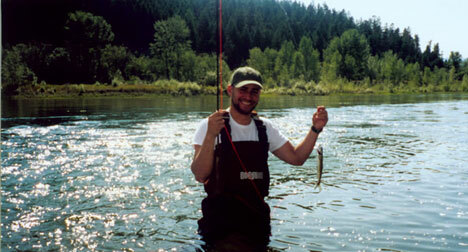 Here Eduardo is standing in the Kootenai River as he shows off one of his first Rainbows landed on a Fly Rod. 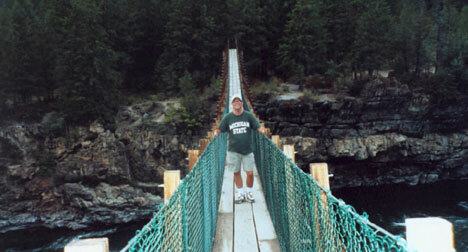 4.I am standing on the famed Swinging Bridge near the Kootenai Falls. 5. 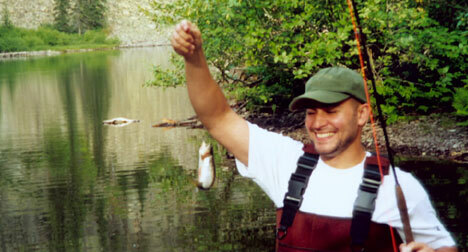 Eduardo holds one the many Cut Throat Trout, he caught, up for a picture before it is released. 6. Here I display on of my catches. 7. Eduardo and I capped of our Glacier fly fishing experience with a celebratory (and appropriately titled) "Trout Slayer Ale" on the bank . 8. 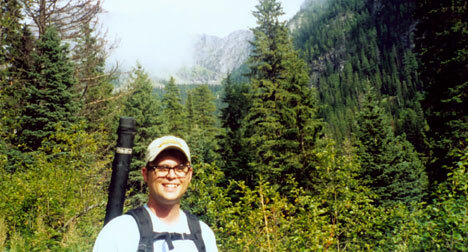 Here I stop for a photo, while on a hike (with fly rods and waders on my back) in Glacier. 9. 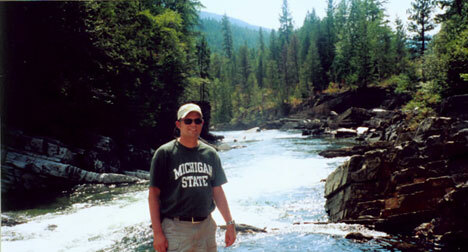 Behind me is the rushing waters of the Yaak river.